Good news for Streamyx and Unifi user who always complain about WiFi broadband speed is slow. 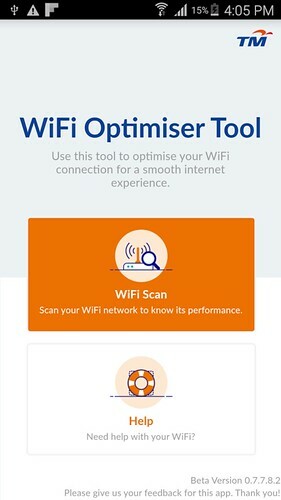 TM just launched a new apps tool specially designed to optimise wifi connection. 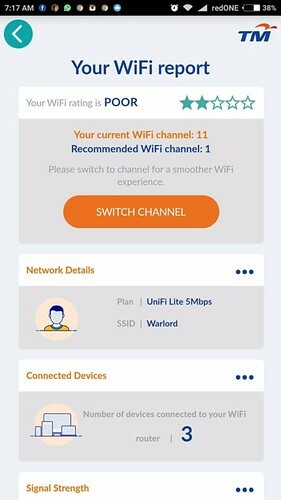 As we know, It can be a headache for a non technical streamyx user to manage Unifi WiFi connection. Especially when connection is slow and you always blaming someone is hacking into your network. 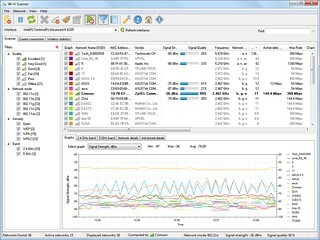 TM WiFi Optimizer Tool is an easy tool to scan, analyse and optimise your WiFi network . Easily and quickly switch WiFi channels to boost your WiFi performance. Get it done under in 30 seconds! 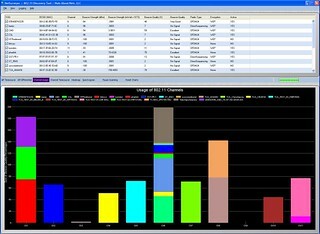 Detailed report of your WiFi network. See the number of WiFi networks in your area. Check if your WiFi channel is congested. See how many devices are connected to your network. Download and install the TM WiFi Optimiser Tool at Google Play. Connect your smartphone to your Unifi/Streamyx WiFi. Open TM WiFi Optimiser App and tap WiFi Scan to get quick diagnosis of your network. 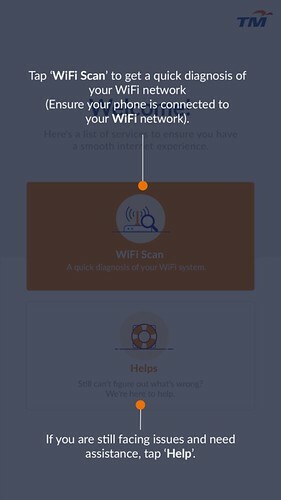 The app will show analysis of your WiFi network and how many device connected to your router. 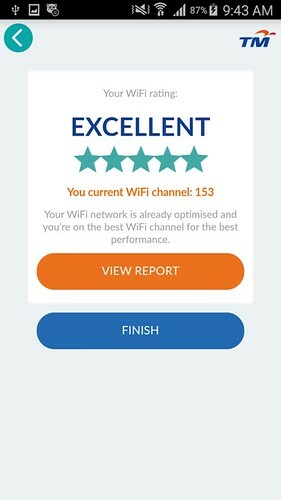 If you get 5 star, then you WiFi connection is already optimised and already on the best channel. Base on the recommendation above, you have to switch channel in order to optimise your WiFi Network. This is normal especially if you live in an apartment or crowded neighbourhood. Majority of houses will be using Unifi. By default, Unifi and Streamyx network router usually use channel 11. This will cause major traffic jam or poor WiFi performance. 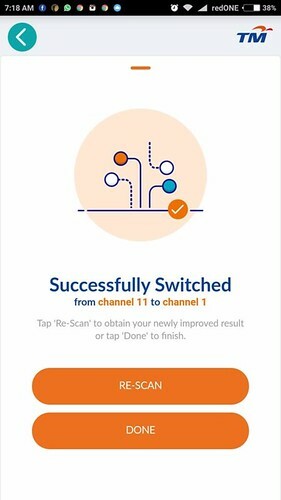 Just click the button “Switch Channel” to change to Channel 1. 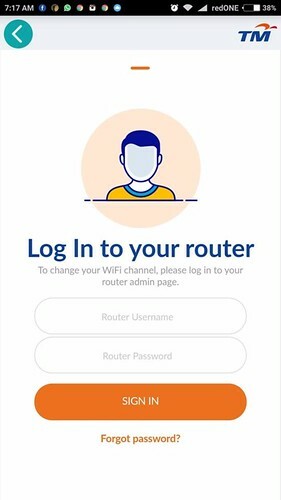 You need to enter your router setting and enter router username and router password. If you did not change anything before this. By default the username for TM Unifi/Streamyx : admin . Password is blank. Just click “Sign In” after enter username. If incorrect, you have to check at your router, usually installer will write on the router. If not you have to call TM helpline. After successfully log in to your router, WiFi Tool Optimiser will automatically change your channel. 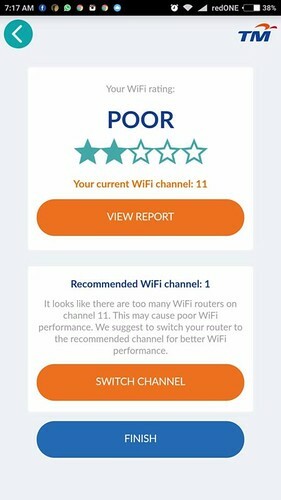 You can rescan to check again your WiFi ratings. This tool is still in BETA version, so a lot of upgrade , bug fixes and features will be coming in future. Hopefully, in future TM can add features like block unknown device that connected to your router and change DNS. In case you are not using TM Streamyx or Unifi but still want to optimise your WiFi Network, there are free tools that you can install on your PC that can scan and analyse your WiFi network. Use this tools to analyse your WiFi Network, check your WiFi Channel, if it is congested, then change it to other free or less congested channel through your router. Wi-Fi Scanner is easy to use, scan for and analyze 802.11 a/b/g/n wireless networks. 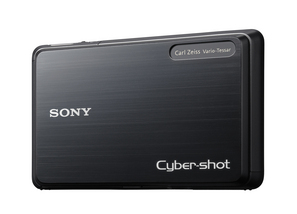 Wi-Fi Scanner also can easily locate visible wireless networks and its corresponding information. The tool obtains the network name (SSID), signal level (RSSI), MAC address (BSSID), signal quality, channel, maximum data rate, encryption, and much more. Wi-Fi Scanner is useful for normal access point users who need to find out the signal strength distribution for their wireless network at home, or choose a position for their access point for optimal signal quality. Using Wi-Fi Scanner, you can evaluate the allocation of wireless networks by channel and select the least congested bandwidth for their access point, allowing them to increase their connection speed significantly. Cloning a Router’s WiFi is quite tricky. The easiest way is to push WPS button on Router and WiFi clone button on extender. So before you try to clone your WiFi Setting, you need to understand the WiFi logo LED blinking signal. If your router supports WPS, you can continue with the steps below to clone its current WiFi settings to the extender. Tips: We recommend that you plug in the extender near your router for WiFi cloning. Within 2 minutes, press the WiFi Clone button for 1 second. Just wait for ten seconds till the Wi-Fi Clone LED is blinking quickly, which means the powerline adapter has successfully completed the Wi-Fi Clone process. Done. You can move the Extender to a suitable location. Note : If the WiFi LED still blinks slowly for longer than 30 seconds, unplug the Extender and plug it back in, then try again. How to Reset your Extender ? With the extender powered on, use a pin to press and hold the Reset button until all LEDs go off.When the Power LED turns on and the WiFi LED starts to blink rapidly, the reset process is complete. If your modem router do not have WPS button, you can try connect to your extender wirelessly or ethernet cable. When connected, open browser and go to ip address provided. If clone WiFi is successful, then your extender will have green light. Note : Different brand have different ip address make sure you get it right. If fail, please reset your extender and try again.. Sometime ago, setting a Wireless Network is quite complicated and user need to be able to configure IP address and etc. Now, its pretty simple to set up a Wireless Network. You need a Broadband Wireless Router, Broadband Modem and a Laptop or Desktop Computer. Connect the Internet port to the Wireless Broadband Router then connect any free LAN ports to the laptop or desktop for configuration using Ethernet cable. One problem that usual occurs with Wireless Router is that the signal strength will degrade when distance between your laptop or Desktop and router increase. For example, you have many brick walls or your computer or laptop located on a different floor than the router. If your wireless signal weak than your Internet speed will degrade too. 1. Adding a home-made reflector behind the antenna of your router is a good way to focus the signal to a certain angle. Since most routers have omni-directional and emit wireless signals in all directional like a light bulb. 2. One free utility that you can use is InSSIDer, it will help you to analyse your wireless network strength around the house. Use your laptop and InSSIDer by walking around the house and rooms to check the wireless strength. By using this information, you can find the best position to place your Wireless Router and your desktop table that will suite everybody in your house. 3. Make sure the Wireless Router location is not placed near something metallic like window grills, or mirrors as they can weaken and reflect the wireless signal. It would be great to place the router at a height in some central location and away from other cordless devices. is a good option if you want to broadcast your Internet WiFi especially in your office, large premises, or restaurant that will keep everybody happy.
. It will expand your wireless coverage without using any cable. The WiFi Repeater should be placed within the Wireless network of your existing router and it will expand and improve your network. This option is suitable to improve Wireless Network on your room and other areas that have poor reception. Good Luck on improving your Wi Fi Signal..
Clearwire has finally launched a second city: Portland, Ore., close by to Intel’s headquarters in Beaverton, finally gets WiMax coverage. This is the first network under the Clear brand, the service that’s being deployed by the new Clearwire, a merger of the old Clearwire and the WiMax assets of Sprint Nextel. Over 700 sq mi are covered in the metropolitan region. It was a poorly kept secret that Intel employees have been using WiMax service in the area for a couple of years, starting at their campus and eventually expanding out as the network was lit up for testing. Portland is an ideal early commercial market, however, because there’s such a mix of old and new infrastructure, as well as suburbs and something like exurbs/rural not far from the city’s boundaries due to an urban growth boundary. From what I can tell, the impetus to get a city-wide Wi-Fi network (started by MetroFi, but never completed) was because of the uneven ability to get high-speed broadband. Clearwire’s 768 Kbps to 6 Mbps residential service is price from $20 to $40 per month, which might be higher in some cases than comparable cable or DSL–but only if that cable or DSL is available. Business services may be far cheaper than landline offerings, while mobile and fixed bundles are much cheaper than anything the cell and wireline broadband companies can offer together so far.